I don’t think I quite realized how many people were visiting my blog and using my patterns. 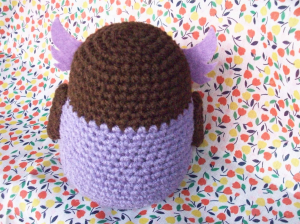 I have not made a new pattern for the site that I was happy with in about 4 months now, but I plan to start coming up with some new stuff SOON. I didn’t think I would be so busy working and going to school, but it’s harder to time manage than I thought. Anyway, thanks to all of you who emailed me asking for new patterns. It still amazes me that you all visit my site and use my patterns. 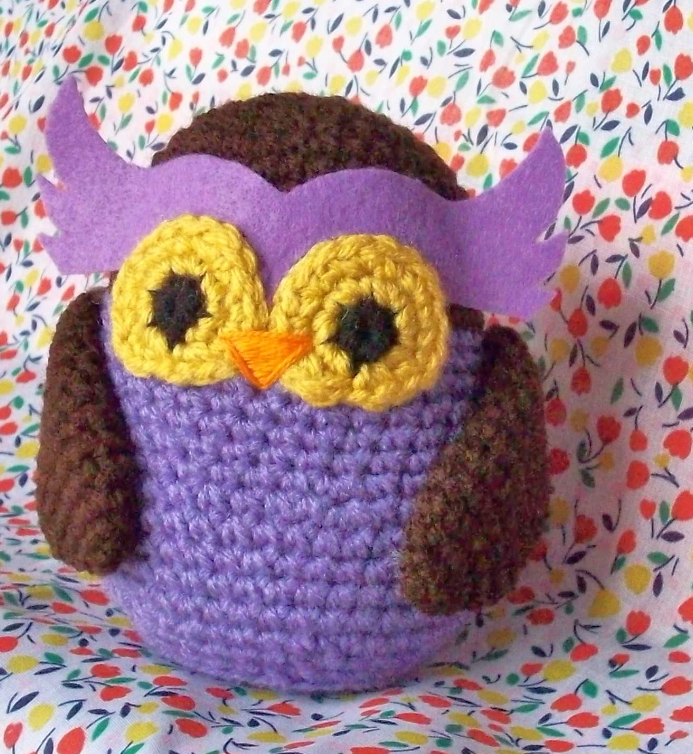 And thanks to all of you other avid crocheters out there, I love our Crocheting community, and you guys keep me going! I’ll keep the patterns coming! I’ve moved my site on over to WordPress, which gives me way more freedom than the previous hosting I had. my patterns again. I have 3 planned to post in the next week or two, so woo hoo, I’m back!! All the patterns on Wolfdreamer’s blog are great. I had to make a few adjustments on the size of the hat and head, but other than that, it was the most flawless pattern I’ve ever used. I seem to have fallen off the face of the Earth. But no, I’m still here. I have more videos and Guides to post, which I will get on tomorrow. The reason It’s been so long is because I made a surprise trip to see my mom in Good old El Paso. I showed up the day before her birthday and surprised the crap out of her. Needless to say I had fun relaxing and seeing the most important people in the world, but now it is time to get back on track. While I was home I visited my Grandma, Nana (Tia Irma) and my Tia Mary. La Mary taught me how to make a two layered blanket, so I’ve been working on it ever since. It is time consuming, but so worth it. Well folks, that day was today. I found my diamond in the rough, and no, its name is not Aladdin. I can only hope I will succeed on this project. Hands don’t fail me now. Oh yes, I also want to document the making of my sister’s blanket. Which I ran out of yarn for. The bus schedules make it hard to get to a good Monopolizing Wal-Mart Super Center. So Aaron and I stayed up pretty late tonight creating my very first Crocheting tutorials. They aren’t the best quality, but I am a little proud, considering what we had to work with. I’m going to come up with a few things I’d like to add to them, and then I’ll embed them in individual posts, that way I can get as much info into them as possible, and hopefully make crocheting easier for those who are just beginning. I was remembering how hard it initially was for me to teach myself how to crochet. The real reason I wanted to learn was because I grew tired of making dolls out of sheets of felt, and my sister in law (who is from Japan) had crocheted an Amigurumi bear. She told me it was a common thing that women in Japan do, and that it was easier than it looked. 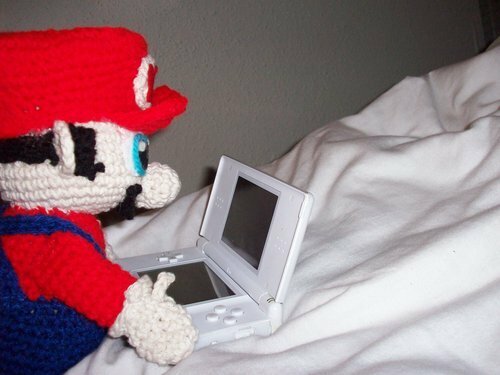 After that day, I was determined to learn to crochet. But of course, first I had to learn the basics, and I had a hard time finding everything I needed in one place, so I’m hoping to cover most of the basics that helped me, here on my own blog, so that others don’t have to struggle as much as I did. Now, I’m not claiming to be an expert. 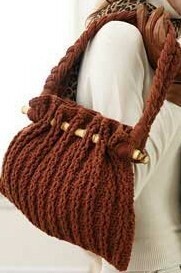 I am far from an expert, but I do know some things that I would like to share with others who are trying out crochet. And check it out!! 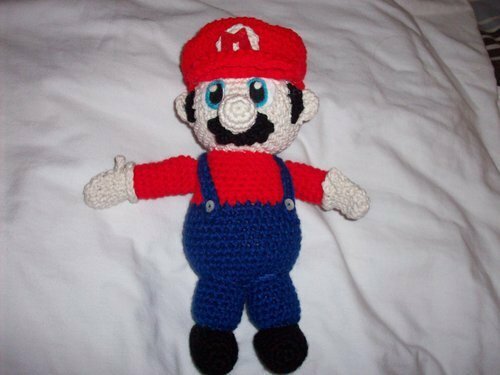 I learned the art of Amigurumi. 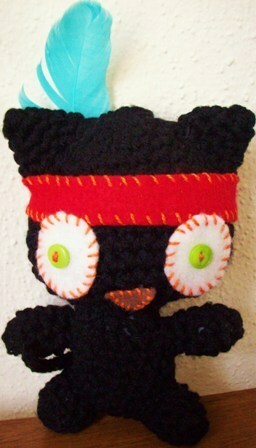 This Black Cat was my first completed project, and although my boyfriend mistook the brown triangle NOSE for a little MOUTH, I am satisfied with the look of it. Weird is in, y’know.